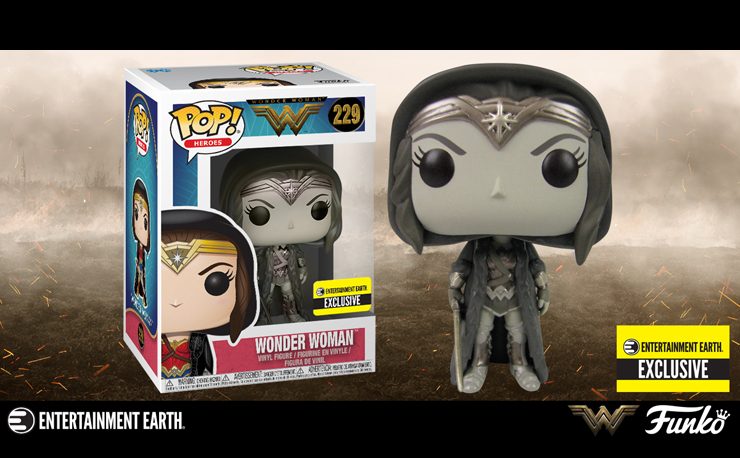 To say that Wonder Woman is just another superhero movie that made a ton of money would be doing it a great disservice. 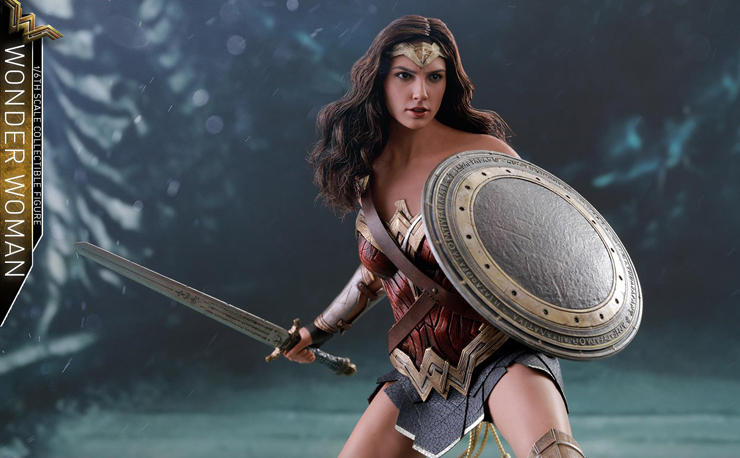 As the first female superhero-centric film to be a massive hit and the first female-directed superhero movie, Patty Jenkins and Wonder Woman took one look at the glass ceiling and shattered it to bits. 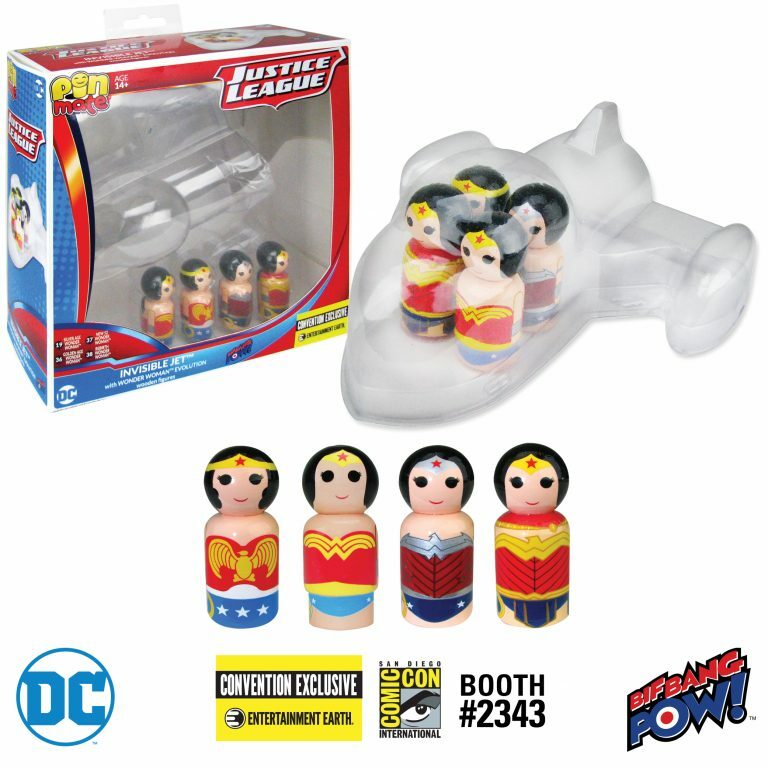 With the movie still on the minds of fans everywhere, the collectibles continue to come in and with convention season in full swing, brands like Bif Bang Pow! 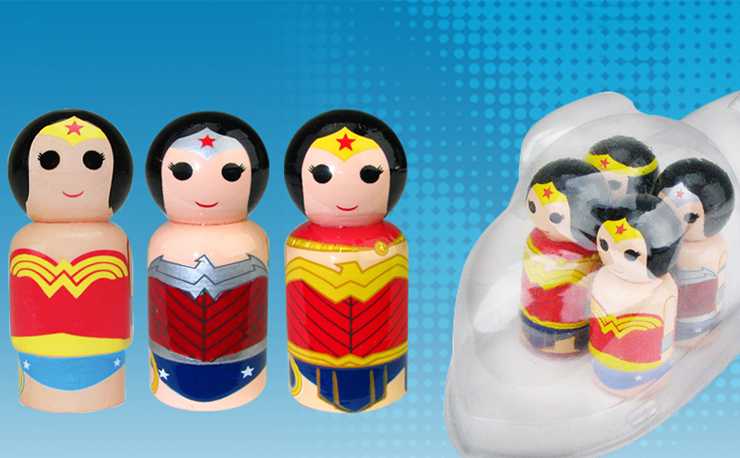 are delivering some great exclusives like this wooden figure set featuring Wonder Woman and her infamous Invisible Jet. 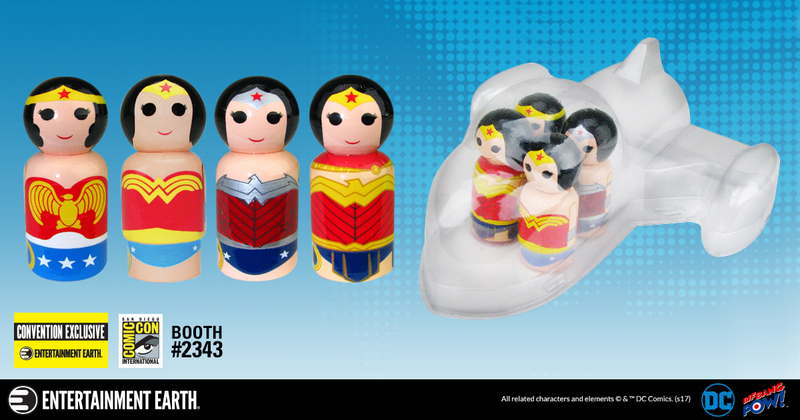 This limited edition set was crafted just for the upcoming San Diego Comic-Con and features 4 Pin Mate wooden figures of Wonder Woman as she appeared throughout time. 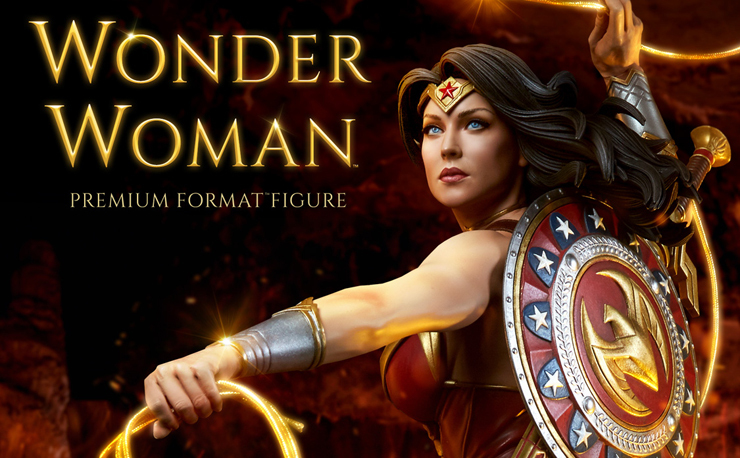 The 4 figures depict the Golden Age Wonder Woman, Silver Age Wonder Woman, New 52 Wonder Woman, and the current Rebirth Wonder Woman version of the heroine. 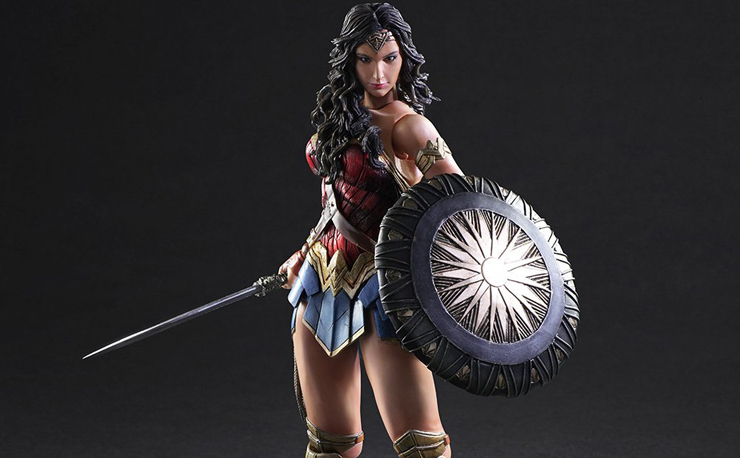 In addition to the figures, Diana’s Invisible Jet serves as the kit to hold all 4 figures making it one of the coolest cases we’ve ever seen. 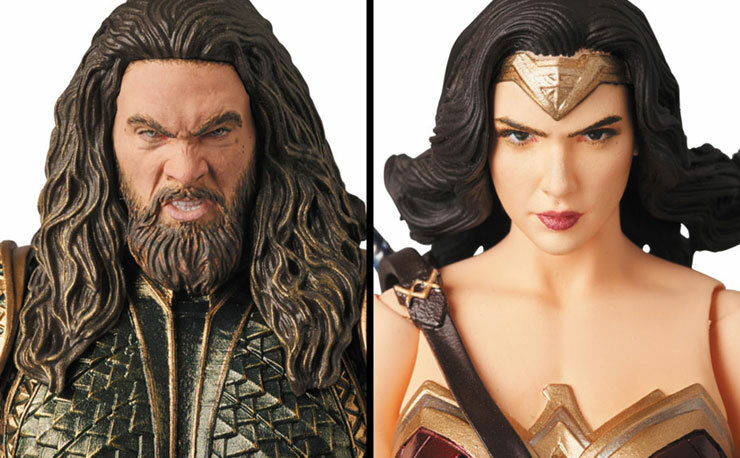 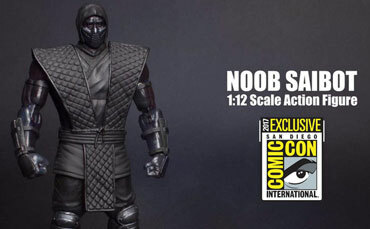 This limited edition figure set will be available to those in attendance at SDCC this year but if you’re not one of the lucky ones who gets to go, you can head over to Entertainment Earth and pre-order it right now.